expert on the subject, in this case, the Wood Window Alliance. For further information, visit www.woodwindowalliance.com. Are the windows fully factory-finished? Do they carry Chain of Custody certification? Are they tested to meet British Standards for air and water-tightness? Do they meet Building Regulations? Use durable packings between windows and wall to avoid distortion to the frames when securing them. Position side fixings 150mm from top and bottom of the frame and at max 450mm centres. Add fixings to the head and sill for windows exceeding 1800mm in width, or two frames together. Be careful packings to sash windows don’t distort the sliding mechanism. Fit damp-proofing in accordance with Building Regulations and use specialized fixings and foams for fixing to the walls and sealing gaps. Avoid projecting timber sills – use stone, brick or tile sub-sills (stone sills should not be used in timber frame buildings). See Wood Window Alliance Advice Note Installation Guidelines for Timber Windows. Check the delivery matches the order and there’s no damage. Store windows upright in clean, dry and covered conditions, or, if outside, stack on level bearers and cover with a tarpaulin. Don’t use polythene – it causes condensation. Store in the sequence of use and use spacers between frames with projecting sills or hardware. Don’t lift frames by their fittings. Bead glazing must be used with insulated glazed units. When preparing and finishing, ensure surfaces, edges, and primer coats are in good condition. On external surfaces, use a micro-porous acrylic paint or a high build stain. Second coats or undercoats must be applied to primed windows before exposure to the elements. Fit double-glazing units on appropriate setting blocks with distance pieces whenever non-setting glazing compounds are specified to protect against moisture ingress. 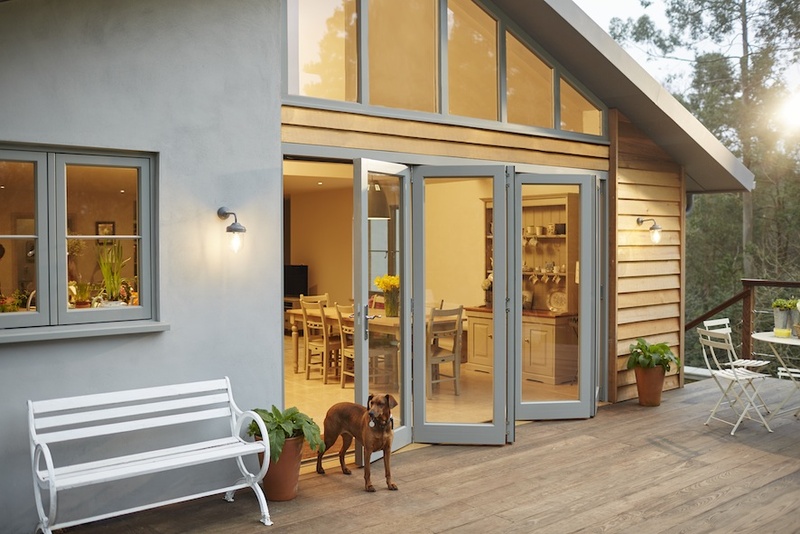 Use only the recommended glazing materials in accordance with the manufacturer’s details. Each wood window chosen instead of PVC-u will save 160 kgs CO2e over its 60-year life. Life Cycle Assessment of timber, modified timber and aluminium-clad timber windows, Heriot Watt University, Edinburgh, June 2013. Available single, double or even triple-glazed. 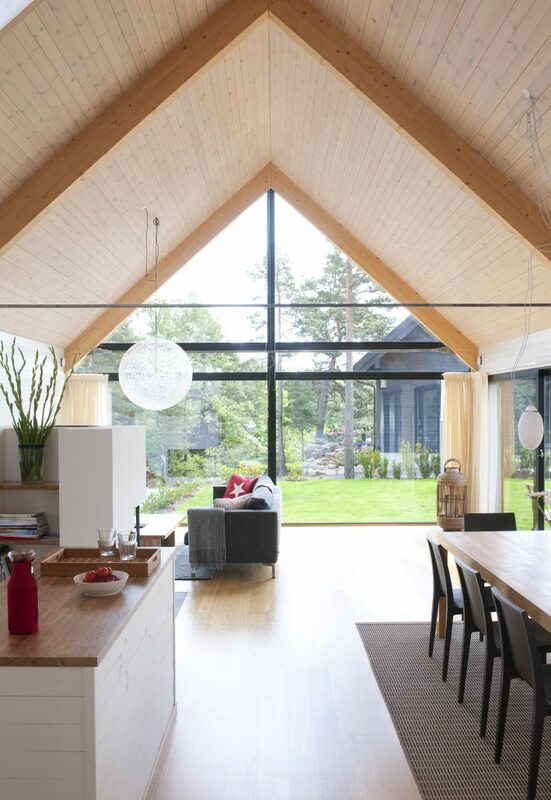 Double-glazed windows can achieve u-values of 1.4w/m2K with less than 50% openable area. 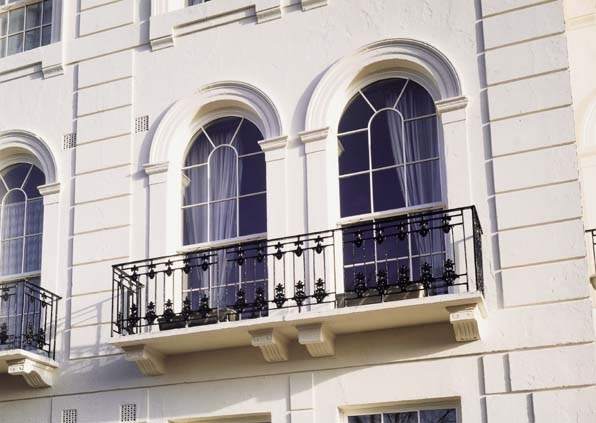 To achieve slim, period glazing bars, these are often ‘applied’, rather than structural, although matching spacer bars within the glazing units give the appearance of structural bars. An additional inward tilt function is available to make cleaning easier. Factory-finished sliding sash windows are easy to re-decorate, as the elements not exposed to sunlight are unlikely to need re-coating. Lockable sashes and opening restrictors are available. They can be double or triple-glazed, are inherently energy-efficient and can be made very secure. 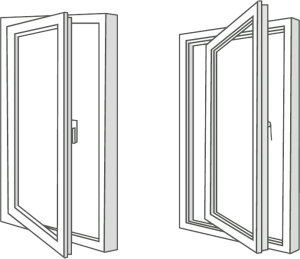 As side-hung, but inward or outward opening – however opening is restricted. Can be fully reversible for easy cleaning and decoration. A continental, inward opening, style that allows an inward tilt fixed opening from a bottom hinge and a wide inward opening from a side hinge (usually without a stay). Generally available in contemporary styles and highly energy-efficient. The right window style makes a big difference to the look of a building and can enhance its value. Today’s wood windows can combine traditional looks with modern performance. Narrow Cavity glazing units and specialist glass finishes are available. If a building is Grade II listed (or above) or in a Conservation Area where Article 4 directions apply, planning permission will be required. 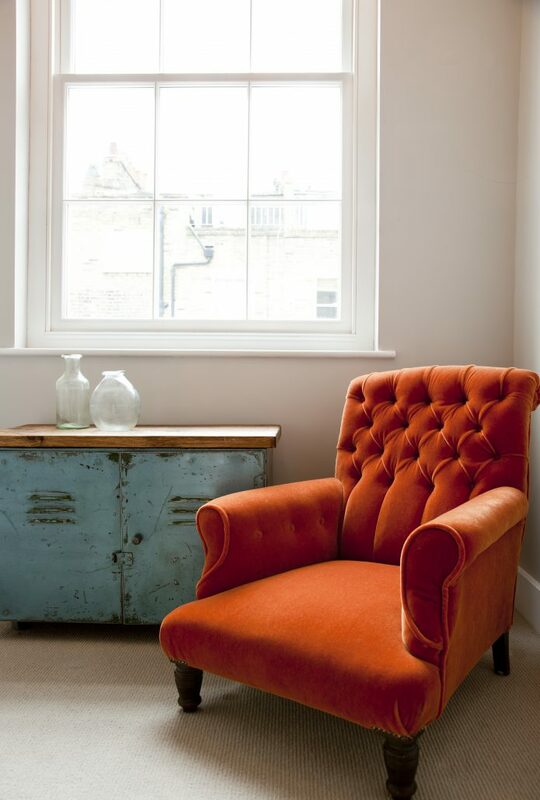 See Wood Window Alliance Advice Note Replacing windows in Listed Buildings and Conservation Areas. Factory-finished wood windows should last around 8-10 years between coatings, depending on the coating and the exposure conditions. Generally, opaque coatings are more durable than translucent coatings or stains, and pale opaque colours are better than darker shades, as they don’t heat up so much in the sun. For translucent coatings, darker shades are better as the pigment provides UV protection. South-facing windows will need re-coating soonest because of their exposure to the sun. Windows in exposed areas, such as coastal sites, hills or multi-storey buildings will need more frequent maintenance. With factory-finished windows, little preparation is necessary – just give a light abrasion to provide a key for the paint, wipe down and apply one or two top coats with a long-haired synthetic brush. Use a water-based micro-porous acrylic paint. You won’t need to decorate tricky areas that aren’t exposed to the sun. Any bare wood should be primed before top-coating, and if there is any resin exudation, do not try to remove it when it’s fresh and sticky; wait for it to oxidise and brush off. See Wood Window Alliance Advice Note Maintenance Guidelines for Timber Windows and video on re-decorating factory-finished wood windows. 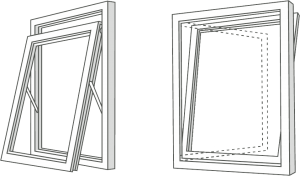 The energy-efficiency of a window is measured in two ways: U-values and Window Energy Ratings (WERs). U-values measure heat loss through a material in W/m2K (watts per square metre per degree kelvin); lower values indicate greater efficiency. 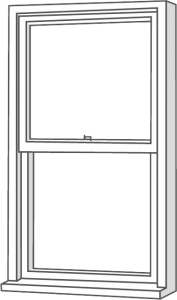 ‘Whole window’ U-values measure the heat loss through the whole window. Some manufacturers may quote ‘centre pane’ U-values, a measurement of the heat loss through the glass alone, which will show a lower figure. 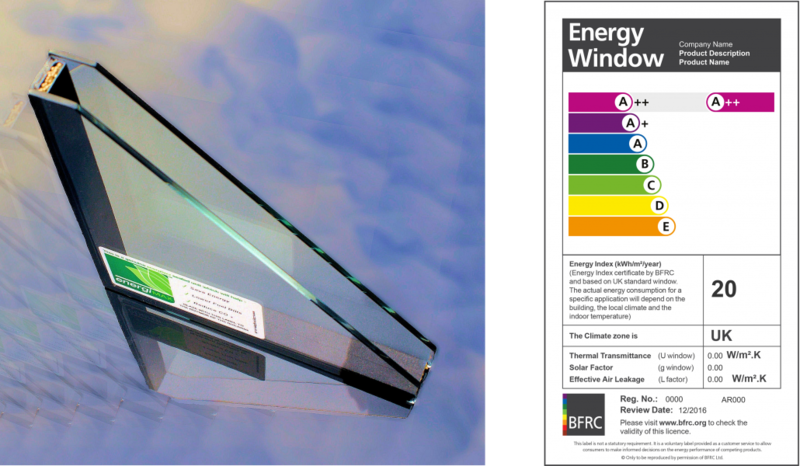 Some manufacturers’ windows are tested by the British Fenestration Rating Council (BFRC) to determine the window’s energy rating (WER). The WER includes the total solar heat gain of the glass, the U-value of the window and air leakage through the seals. Current ratings range from a best of A++ down to E.
Double-glazing, with an inert gas (e.g. Argon), low-emissivity glass for the outer pane and warm edge spacers, offers the best value option. However, if you need U-values below 1.2, or are building to Passivhaus standards, you will need to invest in triple-glazing. Bear in mind that triple-glazing is likely to reduce solar gain. In a double-glazed unit, the optimum gap between the sheets of glass is 16mm (although a 20mm gap is often used). As the standard glass thickness is 4mm, an IGU will be 24mm thick (4-16-4). Narrow cavity units are available. Ensure they are CE-marked and meet the requirements for the durability of glass units given in the BS EN 1279 series of standards. See the Wood Window Alliance Narrow Cavity Advice Note. The two most important regulations are Part L (energy-efficiency) and Part Q (security) or equivalents in Scotland. Target 1.6 W/m2K, with a minimum 1.8 W/m2K. For all new build homes, ensure windows comply with Part Q (security standards) of the Building Regulations (or Standard 4.13 in Scotland). The main standard for factory-finished wood windows is BS 644:2009. Windows must meet the performance requirements defined in BS 6375 Parts 1, 2 and 3 relating to weather-tightness, operation and strength characteristics.